Are you a female agribusiness entrepreneur? You have come to the right place. Aya is a 6-month entrepreneurship track for women in agribusiness in Ghana. Women often have to fight an uphill battle when it comes to being a successful entrepreneur especially in the often male dominated food and agricultural sector. Going through 3 phases, aya aims to provide inspiration, training and coaching that results in improved and professionalized business models of female agri-entrepreneurs. Get inspired: Through a live webinar on September 6th 2018, aya will share 5 strategies of already successful female agri-entrepreneurs in Ghana and other African countries. Apart from the webinar, we will share stories, successes, failures, articles and more on our website and via our social media channels. Get trained: In October we will train 45 female entrepreneurs in Ghana to have a closer look at their business model using our own business model canvas tools, specially targeting women in agribusiness. The tools will take you through topics like customer focused value propositions, designing marketing and distribution strategies, branding, finance and more. Get coached: From the trainings we will select the most promising business models and provide additional coaching and workshops to take your business to the next level. We will link you with already successful female agribusiness entrepreneurs to learn the tricks of the trade and get the roadmap you need towards success. 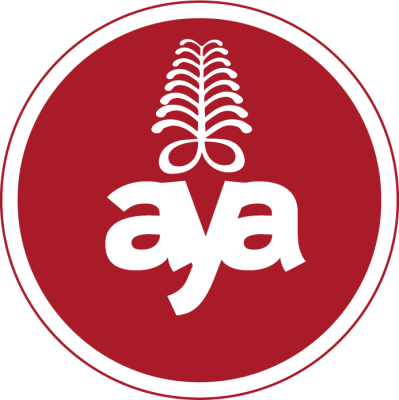 On the 6th of September, the aya webinar was live! With more than 400 registrants and inspiring stories being shared by 8 female agribusiness champions, the webinar was a great success! Want to access the video and the pdf? Watch Managing Director and CEO Yemisi Iranloye share her story on how she secured finance for her casava processing business in Nigeria. Although one third of all businesses across the globe are owned by women, there is still a long way to go to ensure female entrepreneurs have the same prospects as their male counterparts. Founder and CEO, Green Wealth Farm, Ghana “Be good to your staff, provide good benefits and amenities. Additionally, take your sales and marketing seriously”. Aya is part of 2SCALE, an incubator program that manages a portfolio of public-private partnerships (PPPs) for inclusive business in agri-food sectors and industries. 2SCALE offers a range of support services to its business champions (SMEs and farmer groups) and partners, enabling them to produce, transform and supply quality food products. These products go to local and regional markets, including to base of the pyramid consumers. Aya builds on top of the experience of female business champions throughout Africa and wishes to share their knowledge through this 6-month female entrepreneurship track. Join our 2-day training after which you will leave with an improved business model and an action plan to start testing your assumptions.